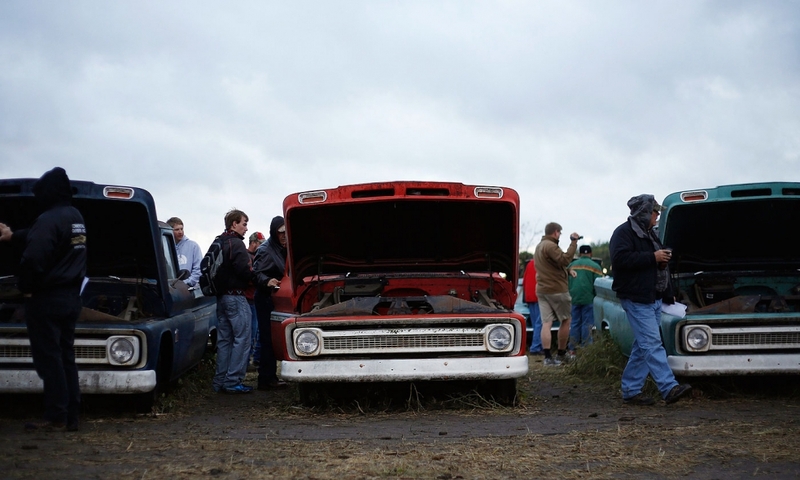 The Lambrecht Chevrolet auction in September 2013 brought 15,000 people and TV's "Top Gear" to the small Nebraska town of Pierce, where nearly 500 Chevrolet models, mostly from the 1950s, '60s and '70s, were auctioned off to the tune of an estimated $2.8 million. 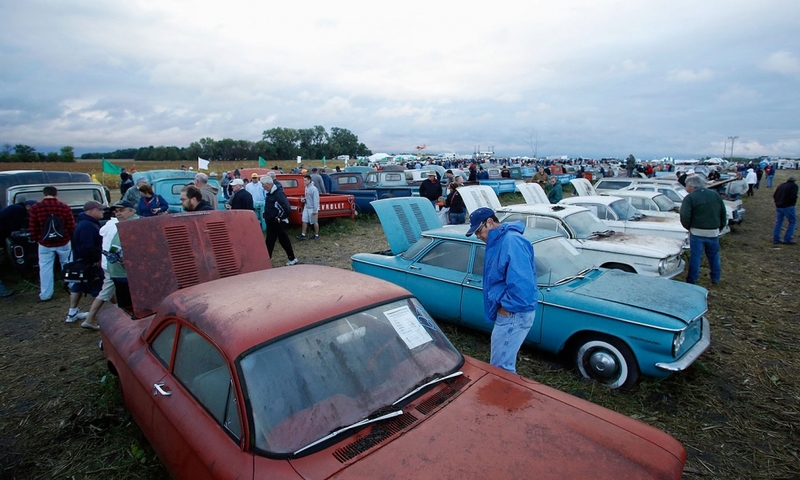 Jeannie Lambrecht Stillwell, the daughter of dealership founders Ray and Mildred Lambrecht, told the crowd that it was always her father's plan to have an auction because he never wanted to throw anything away. Instead, he put unsold inventory into storage. 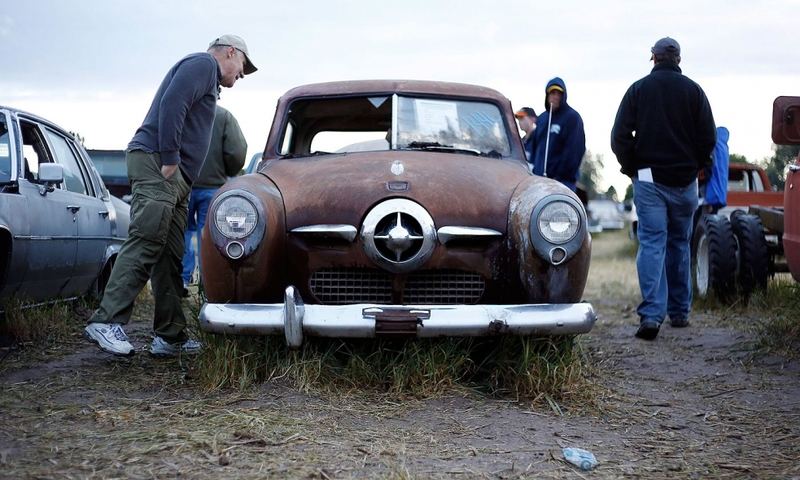 A vintage 1950 Studebaker from the Lambrecht Collection in Pierce, Neb., receives an inspection. 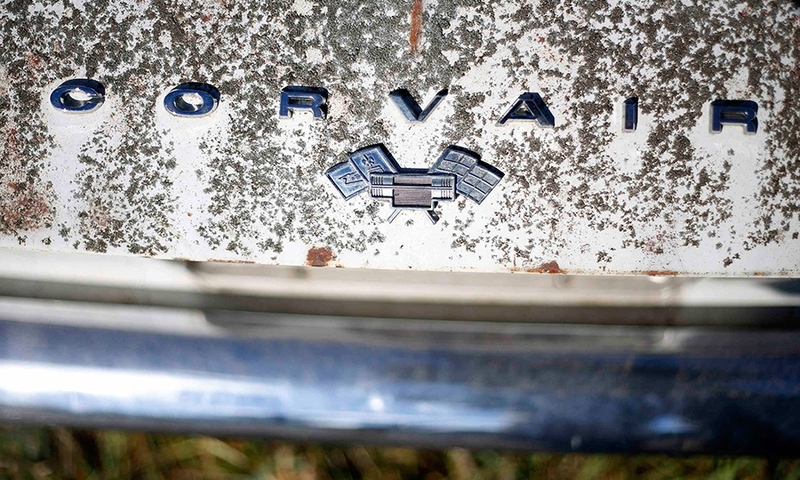 The rear hood of a Corvair, part of the vintage automobiles from the Lambrecht Collection, is seen before the car is put up for auction in Pierce, Nebraska. 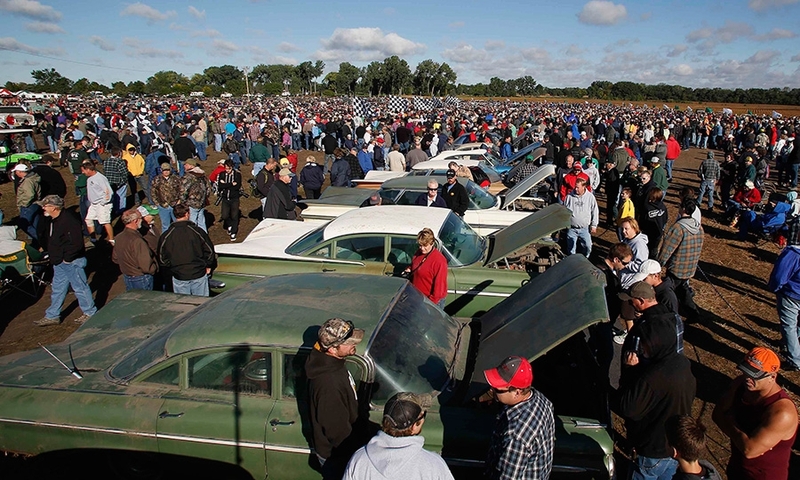 An auctioneer takes in bids for vintage automobiles from the Lambrecht Collection. 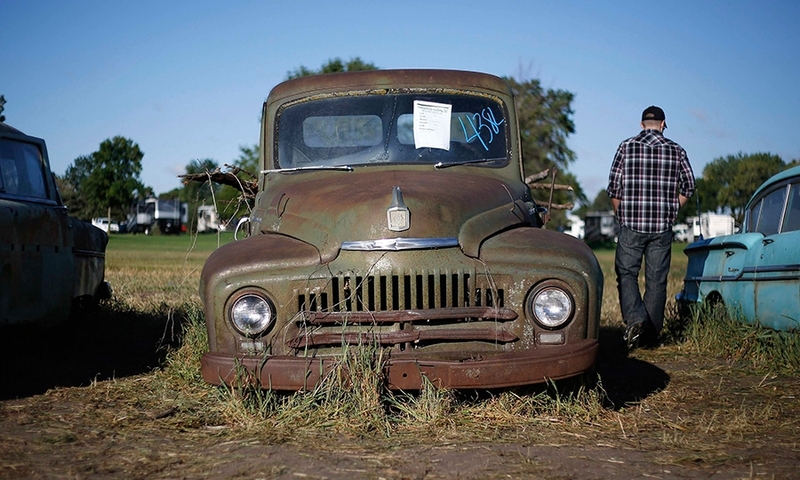 An International truck on the auction block. 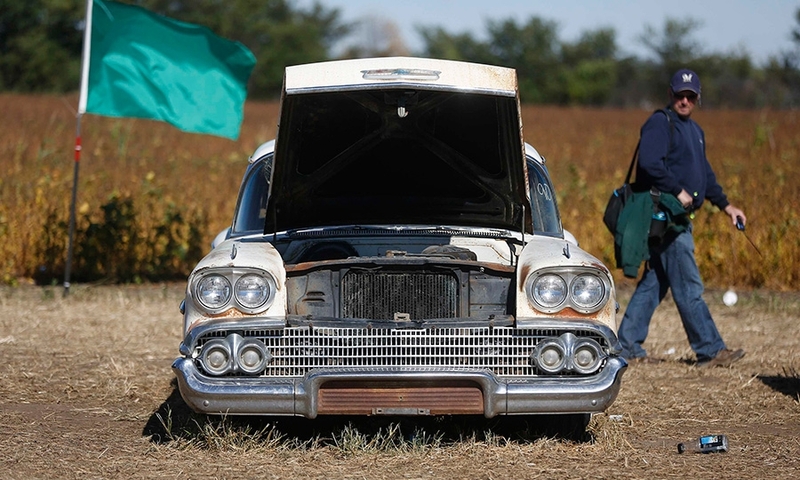 Marty Zabel checks out a vintage 1956 Chevrolet from the Lambrecht Collection before it is put up for auction. 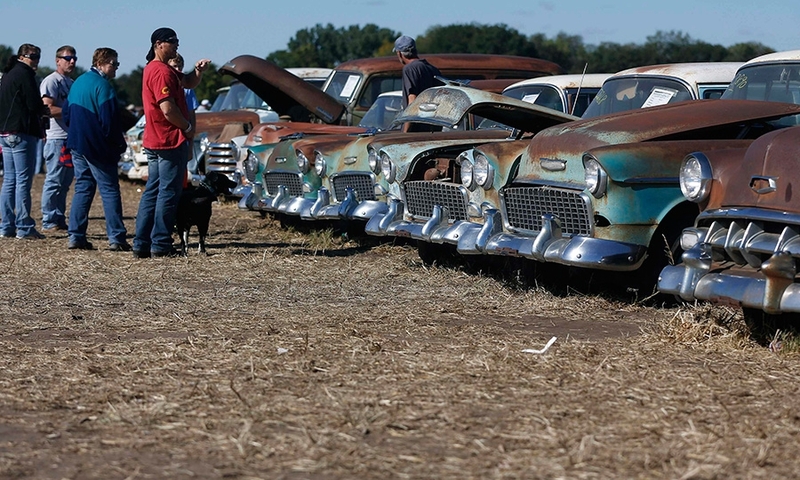 Potential buyers and car enthusiasts check out 1950s era Chevrolet sedans. 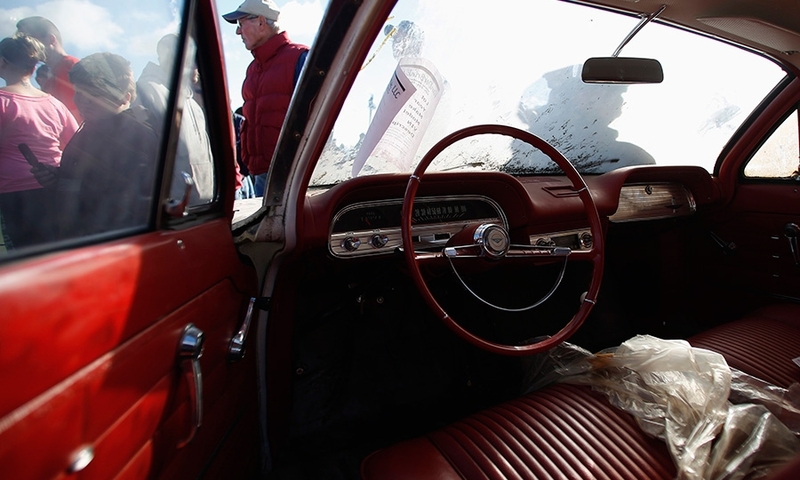 Some of the successful auction bids included a 1964 Chevrolet C10 pickup with 3 miles on it that sold for $27,000; a 1966 Chevrolet Impala with 6,549 miles that sold for $15,500; and a 1956 Chevrolet Bel Air with 72,477 miles that brought in $14,500. 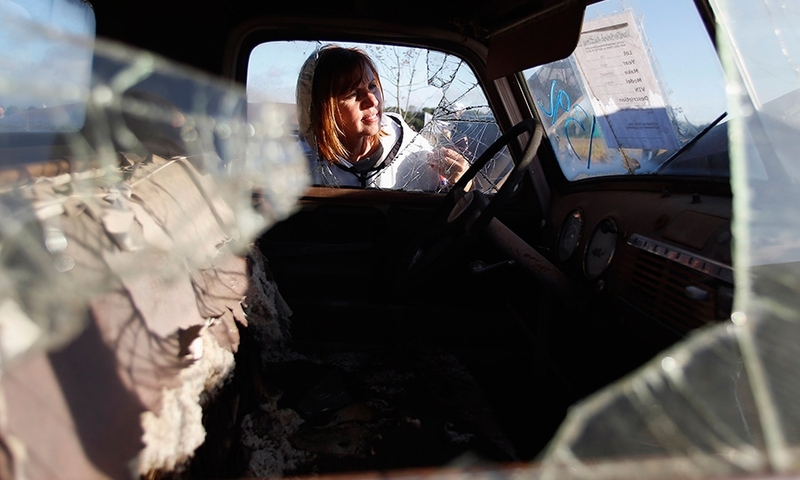 Barb Hattig checks out the cab of a 1950s Chevrolet truck. 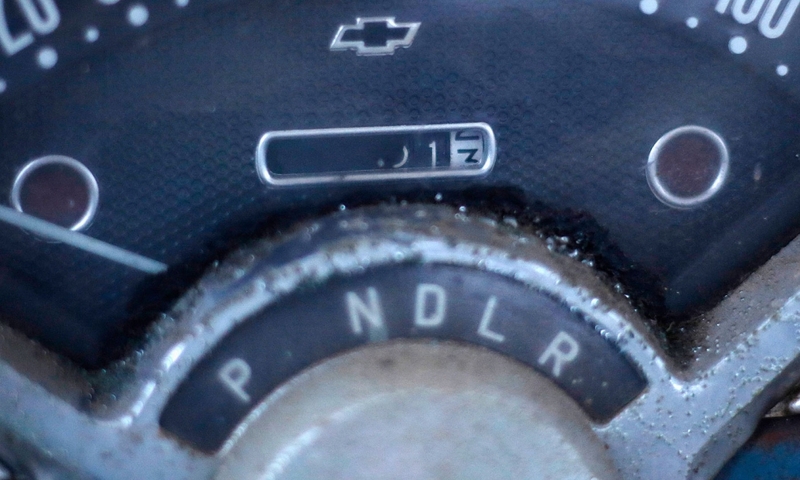 The odometer reading on a 1955 Chevrolet. 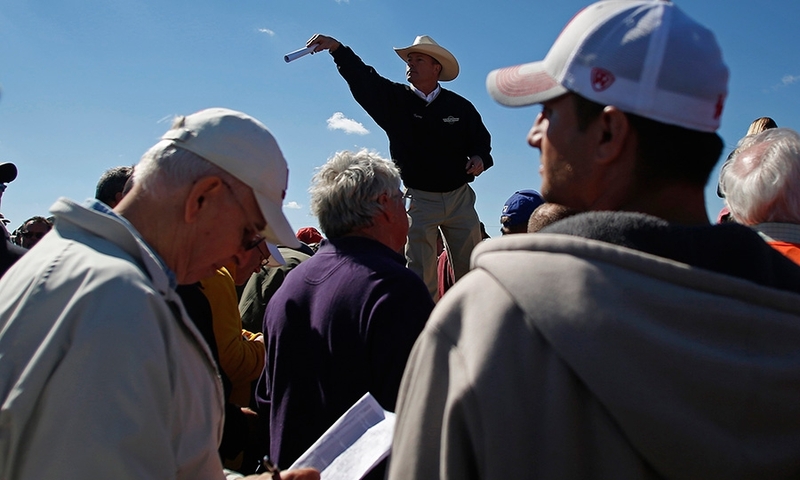 The Pierce County Sheriff's Office estimated the Lambrecht auction crowd at around 15,000, including 3,000 on-site bidders. An additional 3,300 placed bids for vehicles online. 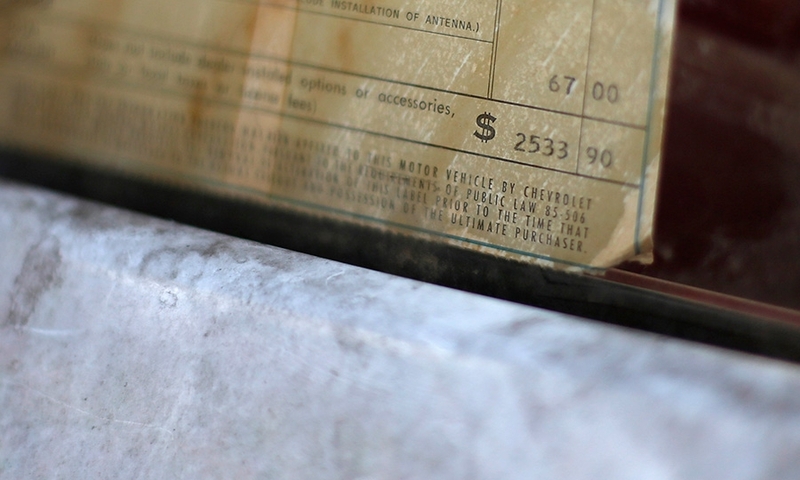 The original price sticker is still visible on a 1963 Corvair that originally sold for $2533.90. 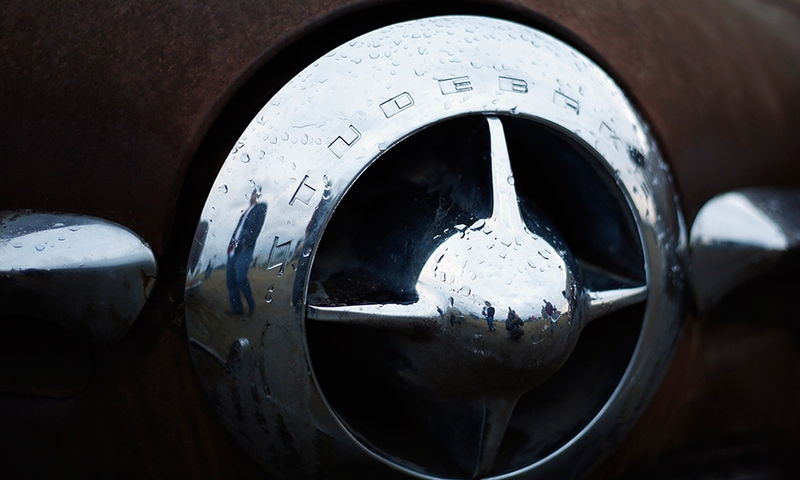 A closer look at a vintage 1950 Studebaker. 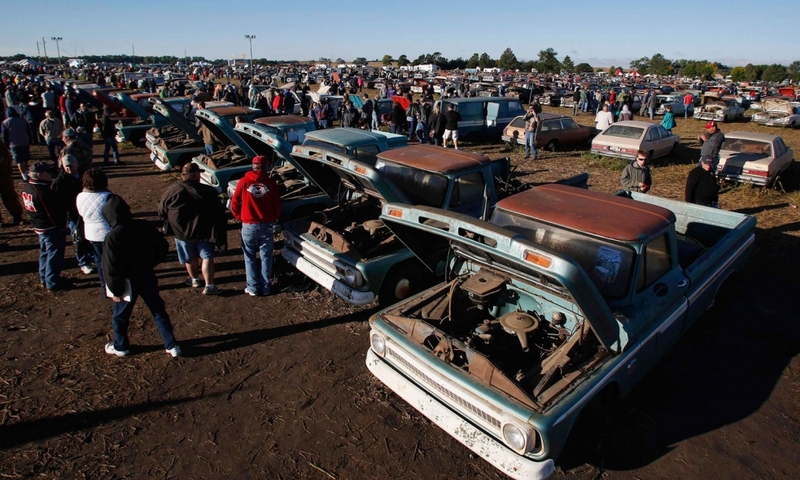 A row of vintage Chevrolet trucks attract interest. 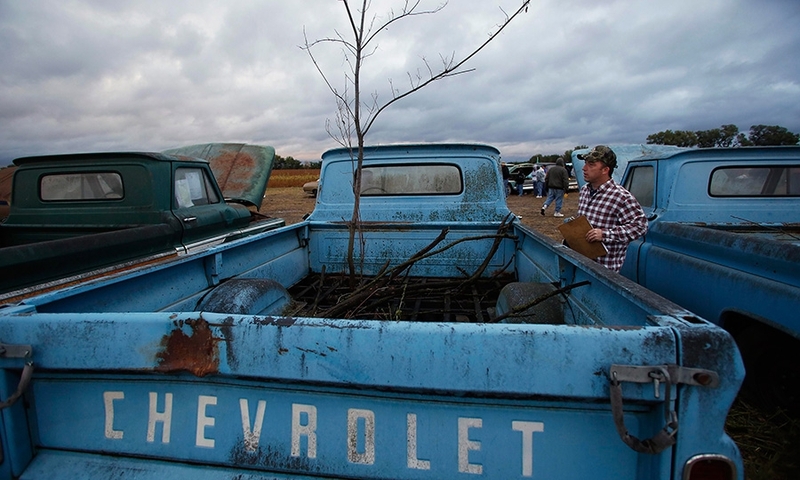 Bill Gerst checks out a 1965 Chevrolet truck with a tree growing out of it. 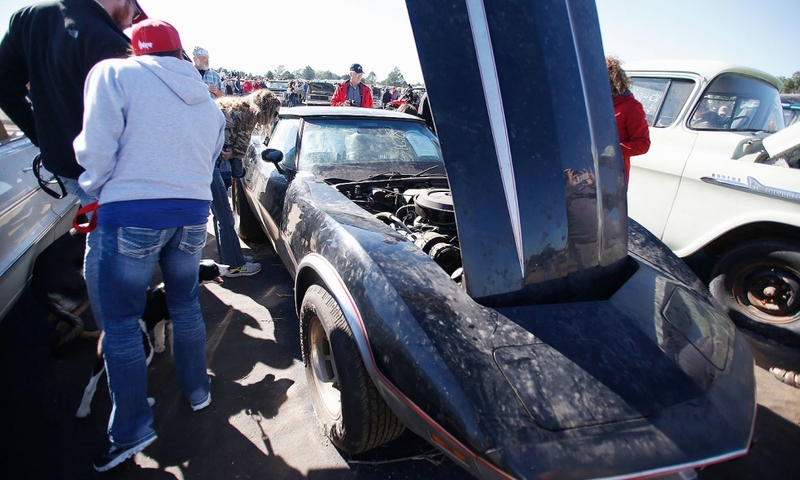 A 1978 Corvette draws some interest. 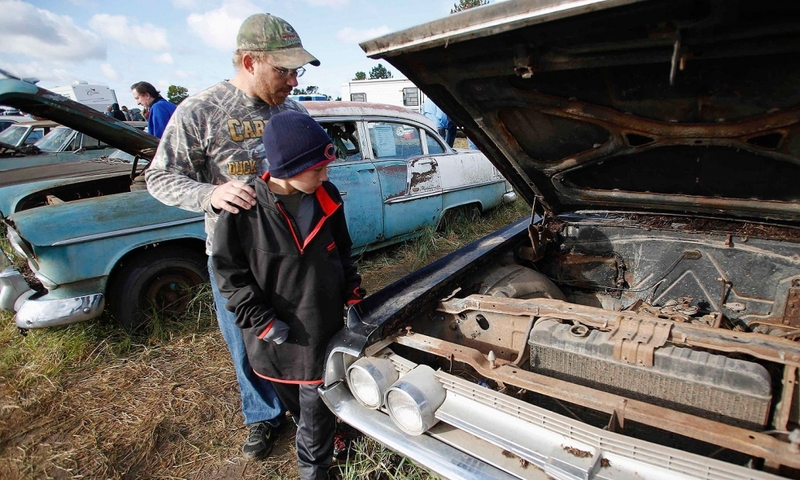 Michael Miller and his son Clayton check out a Chevrolet Impala. A 1958 Chevrolet Bel Air. 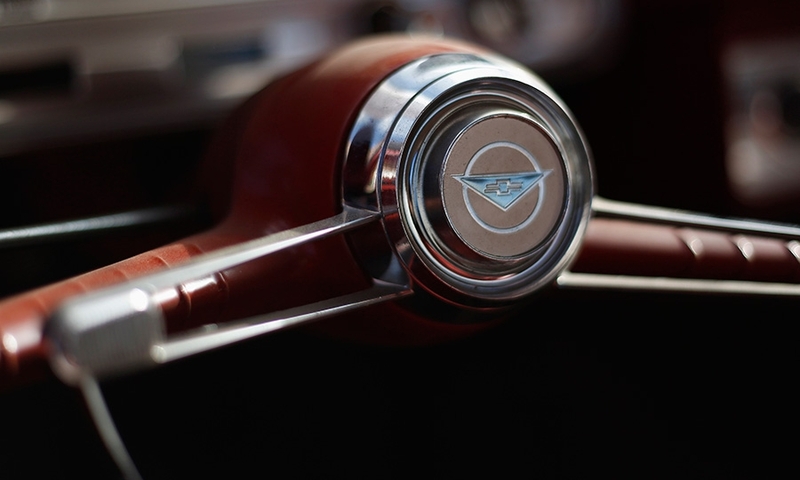 The steering wheel of a 1963 Corvair. 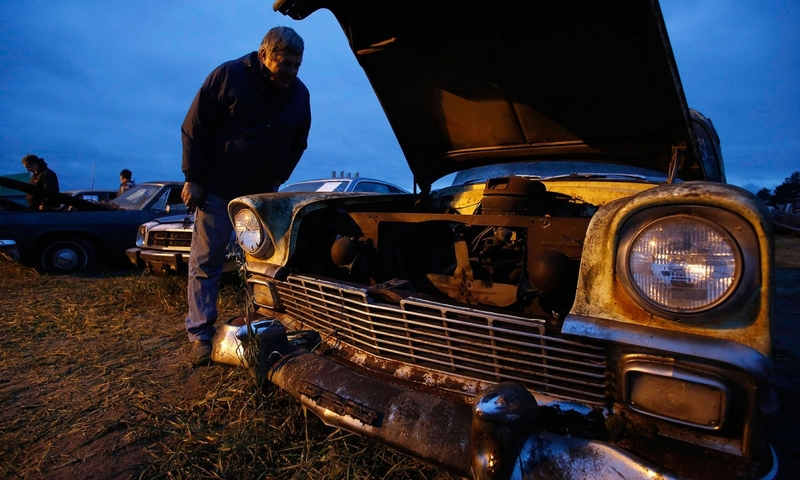 The vehicles were the unsold inventory of Lambrecht Chevrolet -- founded by Ray and Mildred Lambrecht -- which closed in 1996 after 50 years.